Hi, Erin here! 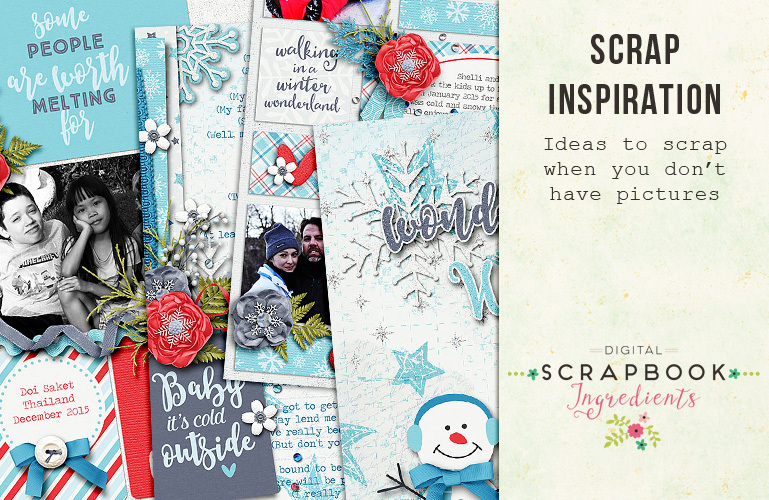 Have you ever seen a kit that you just loved, but thought to yourself, “I have absolutely nothing to scrap with that”? Maybe it was a kit you got for free, or one you wanted to buy, but feel like you just can’t use it. It happens to me ALL the time. Especially this time of year. Hello! I hope you all had a great DSD celebration this weekend. I don’t know about you, but I had a lot of fun, and I think I might be a bit worn out now, he he. 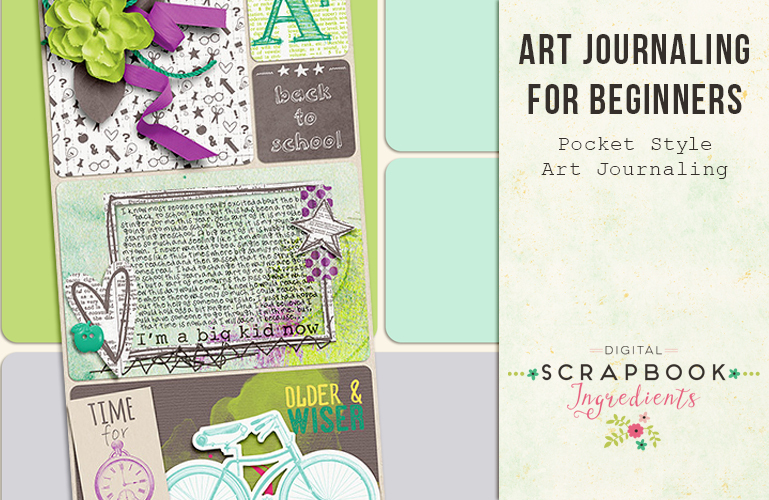 In past Art Journaling for Beginners posts we have talked quite a bit about paint. Today I want to show you a simple trick to make your paint look more realistic. I love to paint across multiple layers. But if you just throw a paint layer over several layers in your digi art it does not always look real. Hi all. 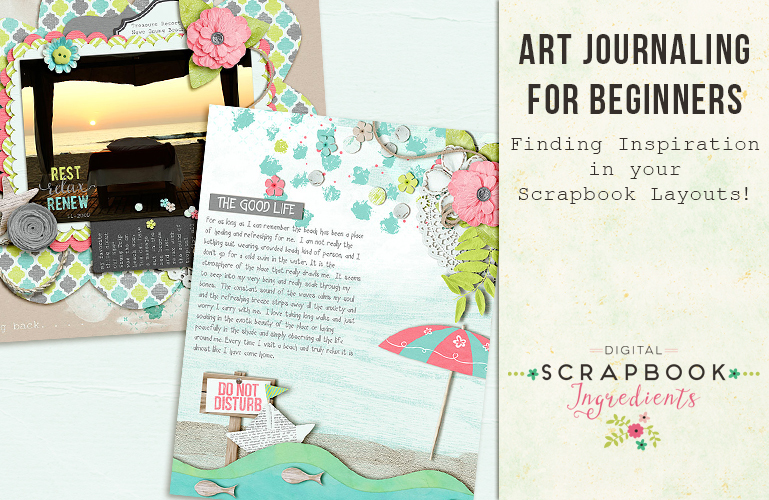 This is Erin back with another look at Art Journaling for Beginners. Hi again! 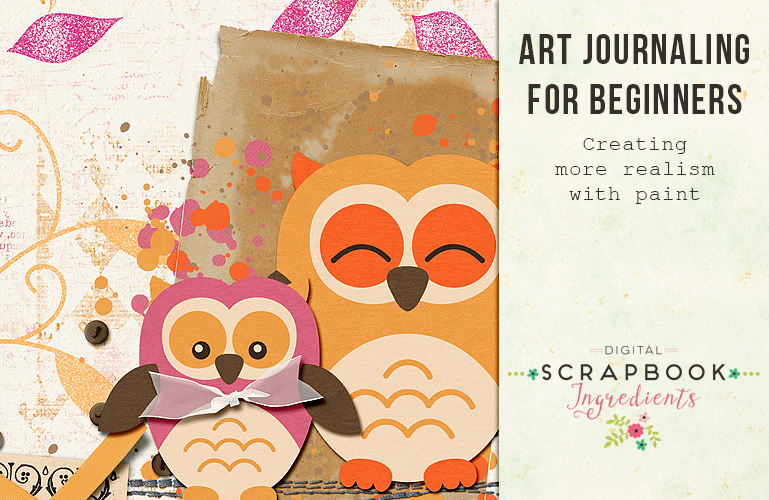 Erin here with this month’s Art Journaling for Beginners!